The movie stars Keira Knightley alongside Ralph Fiennes, The Crown's Matthew Goode and Doctor Who's Matt Smith and is set to premiere at the Sundance Film Festival in the US later this month before going on general release. 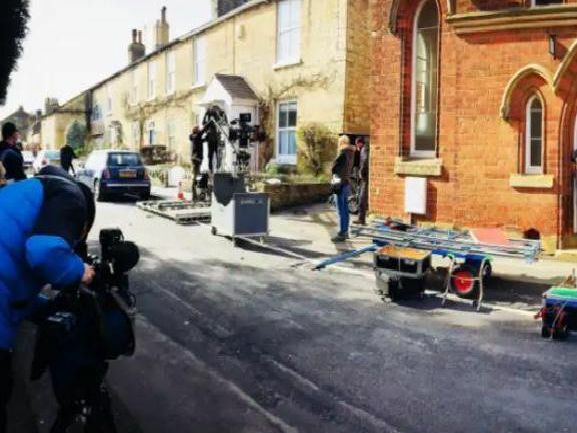 Thanks to a partnership with Screen Yorkshire, several locations in the area were used during filming. The political thriller tells the story of Katharine Gun, a British GCHQ translator who leaked secret documents about US activities ahead of the Irag invasion in 2003 to the media. She was later arrested and charged under the Official Secrets Act, but the case was dropped. She became a cause celebre when celebrities such as actor Sean Penn supported her case. Knightley will play the lead role, with Smith as journalist Martin Bright and Fiennes as human rights lawyer Ben Emmerson. The Victorian worsted mill was built in 1873, during Bradford's wool boom. It's since been converted into luxury apartments with their own private sports facilities. The heritage line was used to stand in for Cheltenham Spa Station, the nearest station to the GCHQ offices in Cheltenham where Knightley's character worked. The line has also featured in Peaky Blinders. The British Library's northern outpost is in Thorp Arch, near Wetherby. It's home to the national newspaper archives, which contain old editions spanning 300 years of newsprint. The village near Wetherby was used for filming back in March, when fake snow had to be brought in. A scene of Knightley running to a car and marrying her on-screen husband in the church were shot here.